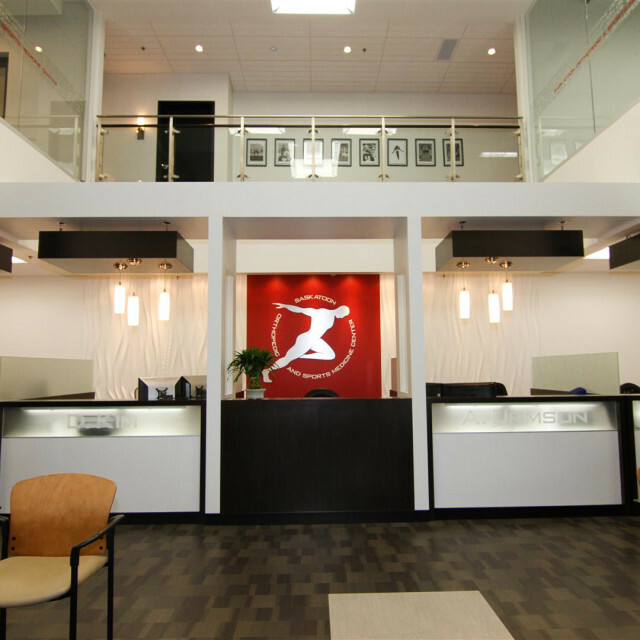 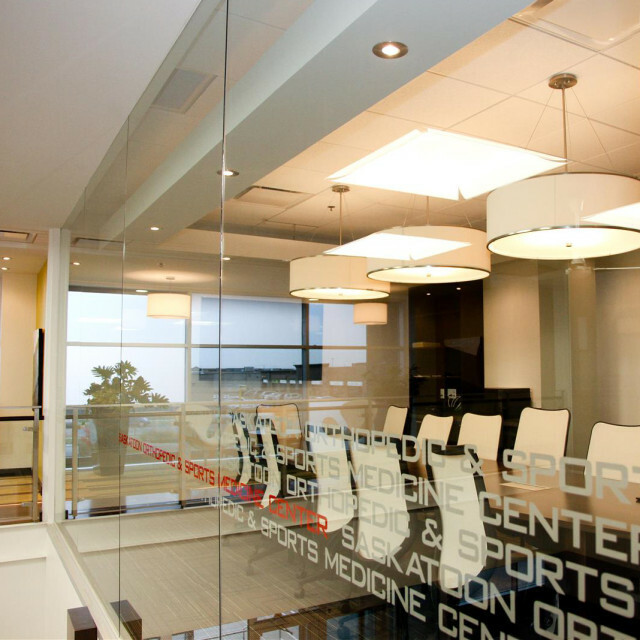 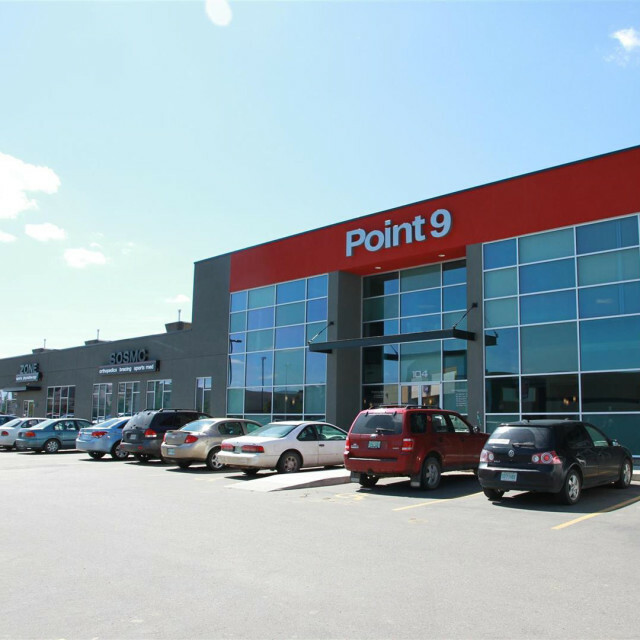 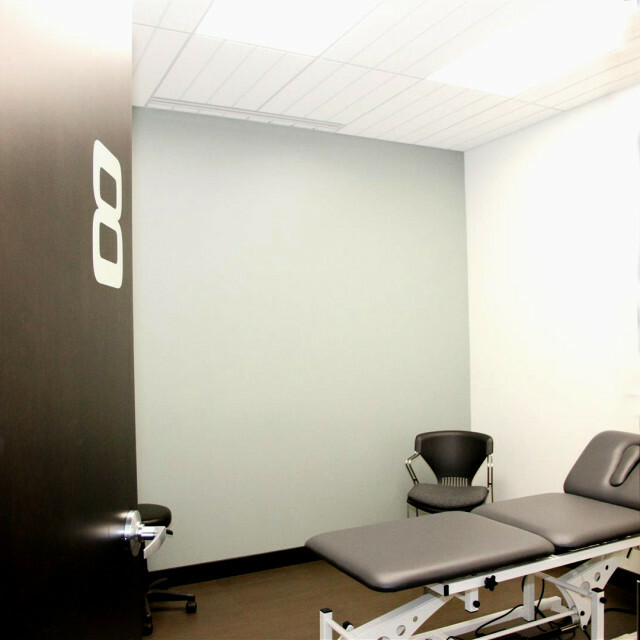 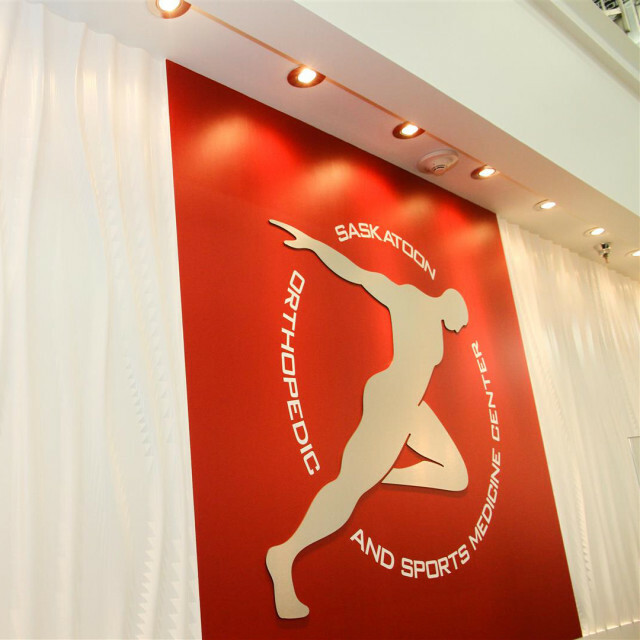 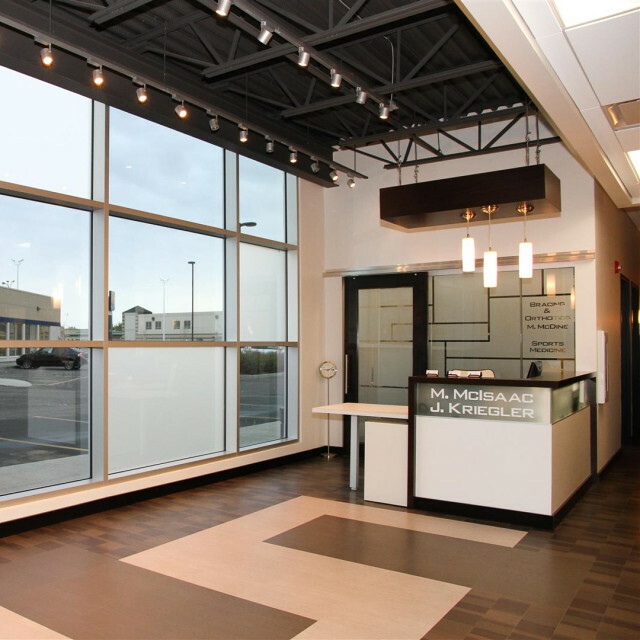 The objective of the Saskatoon Orthopedic + Sports Medicine Center is to provide collaboration and synergies of multi-disciplinary sport and medical professionals in one building. 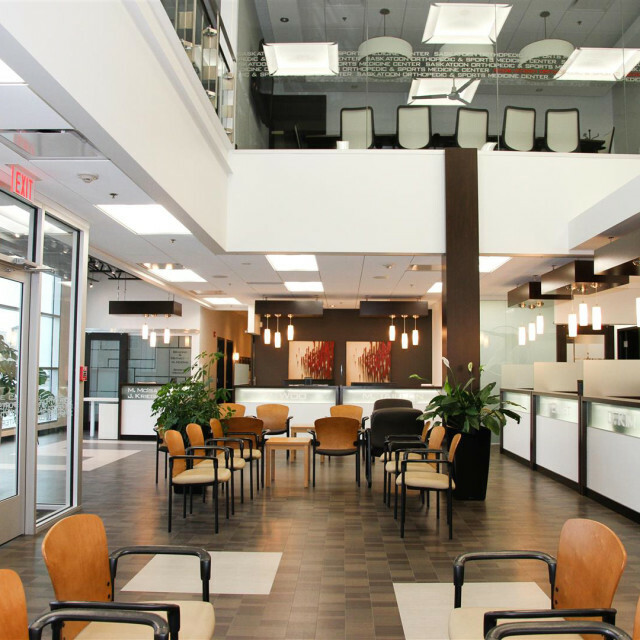 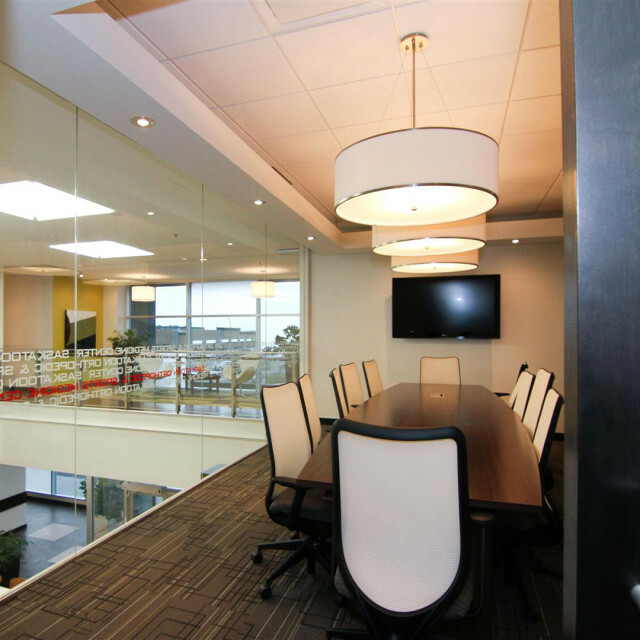 Creating several tenant spaces that were complementary and accessible yet separate entities was one of the key factors in planning and designing the facility. 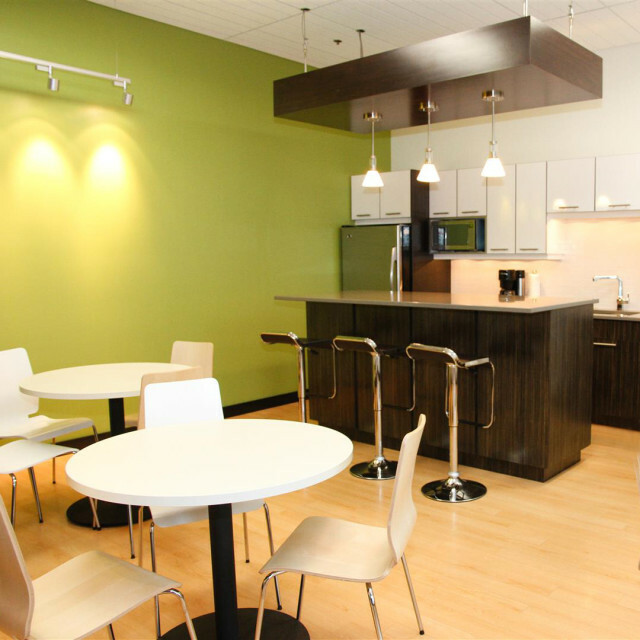 Internal connections and shared collaborative spaces were creatively developed while balancing varying operational programs. 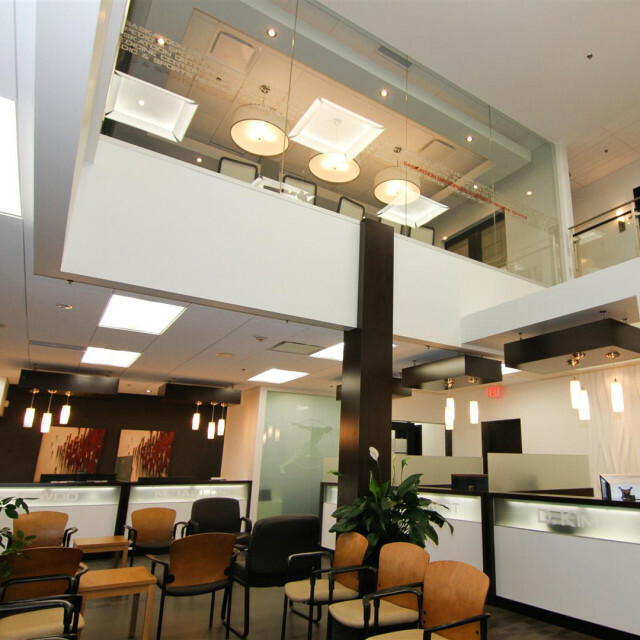 The core of the building is the large two-storey atrium space which is filled with natural light. 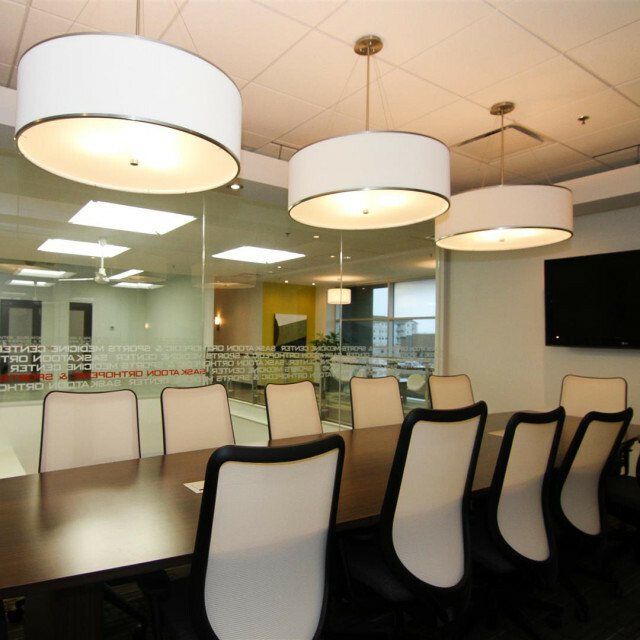 The simplicity of the white palette is layered with vibrant colours which are in the spirit of the corporate branding. 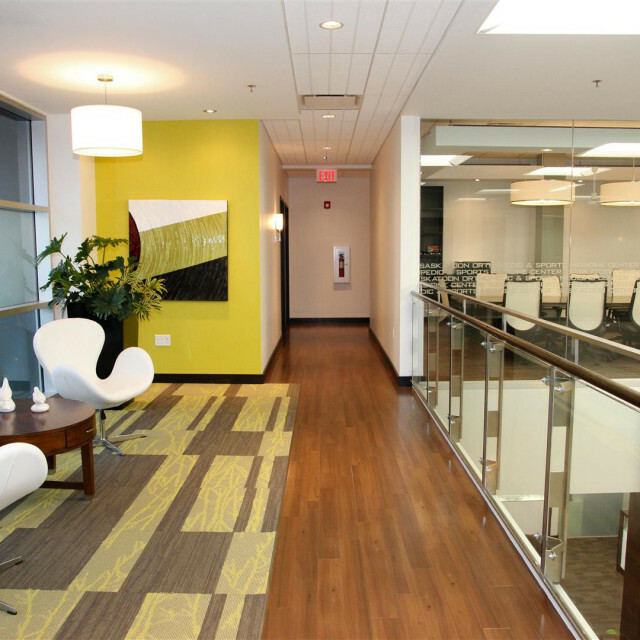 The use of varying textures and materials creates distinct zones within the space.